It is known as an extreme sport, so knowing how to stay safe while climbing is essential. Poor communication, distraction while getting ready, and biting off more than you can chew have all led to accidents that have given the sport a reputation for being on the edge. But if you know what you’re doing and take appropriate safety measures, the risks in climbing can be substantially minimised, leaving you to enjoy a fun, challenging, inspirational sport with a great community and in the most breathtaking destinations. 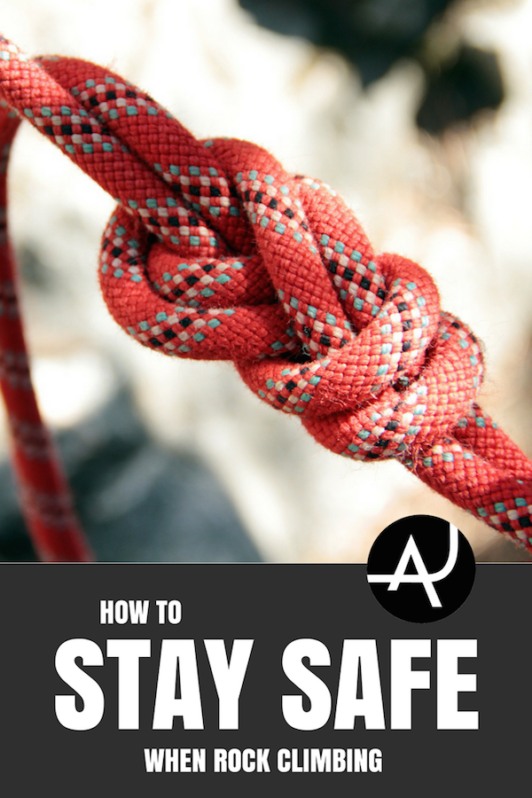 In this article, The Adventure Junkies will walk you through some simple steps on how to stay safe while climbing. Before you set off on a climb, a climber and belayer should always – always – do a round of safety checks. Even the most experienced climbers have suffered injuries that could have been prevented with a simple check. Lynn Hill, who famously freed The Nose of El Capitan, Yosemite Valley, once took a giant 70ft fall from the top of a climb because she had been distracted while preparing, and had failed to complete her safety knot. Properly tying into the rope is vital. 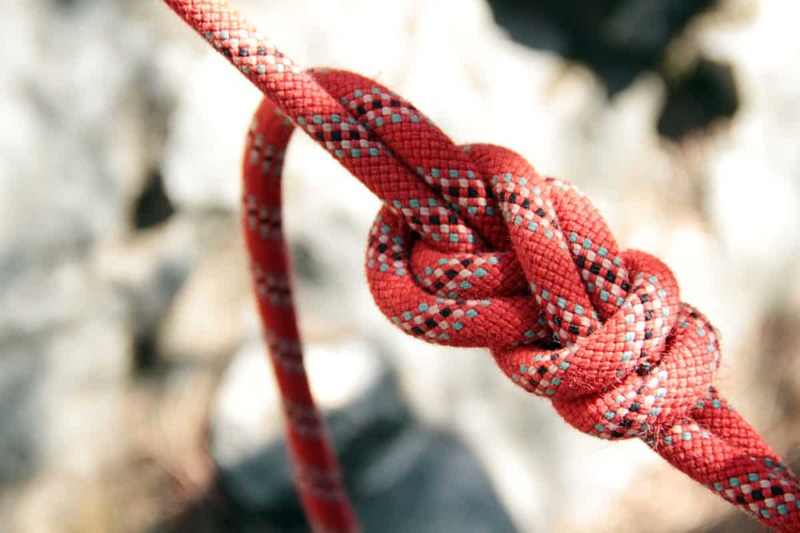 Climbers use different kinds of knots, but the figure-8 with a stopper knot is the most common. The knot must pass through the tie-in points on the harness, usually through both the leg loop and the waist loop. Check the harness instructions to ensure you are doing this correctly, and check the knot is properly tied before casting off. Are the harnesses of the climber(s) and belayer sitting above the hips, tightened, with all appropriate loops double backed? 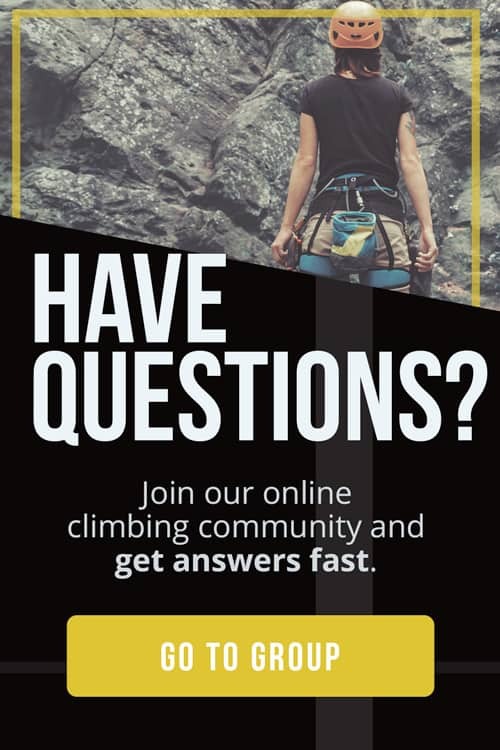 Is the belay device – usually an ATC or a grigri – threading the rope in the correct way (check instructions to be sure), and attached to the harness with a locking carabiner? Is the carabiner locked? 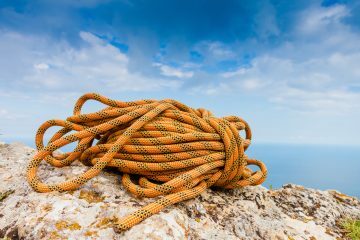 You should always check that everything is properly set up by tugging the rope, as if it were catching a fall, and seeing if the belay device catches the rope and keeps it from running freely. Make sure it is the right rope for this type of climb, and check the sheath to make sure it is undamaged. Flake the rope at the bottom of the climb to ensure there are no knots in it, which could get snagged in the belay device at a critical, and potentially dangerous, moment. If there is a chance that the rope is not long enough, put a knot in the end of it to keep the end from unexpectedly running through the belay device, dropping the climber in the process. Finally, check that the lead climber has everything they need for the route. If it’s a sport climb, ensure they have enough quickdraws (usually three more than the number of bolts, including two for the anchor, and one extra, just in case). If it is a traditionally-protected route, ensure they have enough protective gear, such as cams and wires. Many climbers don’t wear helmets on well-traveled routes, assuming that the chances of rockfall are minimal. But how stupid would it be to own a helmet, and sustain a serious head-injury while climbing because you had chosen not to use it. Be safe – wear a helmet, no matter what type of climbing you are doing. Have a look at the route, and ensure that the belayer is out of the line of fire, or can easily step out of the line of fire. A lead climber can accidently dislodge a loose rock at anytime, putting the belayer at risk of getting hit. Many accidents have occurred while lowering climbers from the top of a route. One common mistake is if the climber believes he will be lowered to the ground, but the belayer believes the climber will rappel. If the climber is taken off belay and leans back, expecting to be lowered, then they will fall to the ground. Know and agree on how to descend. Repeat it before the climber starts climbing, to ensure there is no miscommunication. Sometimes climbers have to walk off the top of a route. If so, be sure to know the descent route. Many climbers have spent cold, hungry and wet nights pinned to a wall after getting lost on the descent and not being properly prepared. Accidents can happen due to poor communication, such as the previous example about confusion over how to descend. Miscommunication has also lead to belayers taking their lead climbers off belay before they have finished the climb. Know your calls, and shout them clearly. “Take” means the belayer should take in rope slack. “Slack” means to give more rope slack. “Secure” or “off-belay” means the climber has anchored to the wall and can be taken off belay. If there are other people around you, use names to avoid confusion that could lead to a potentially fatal scenario. 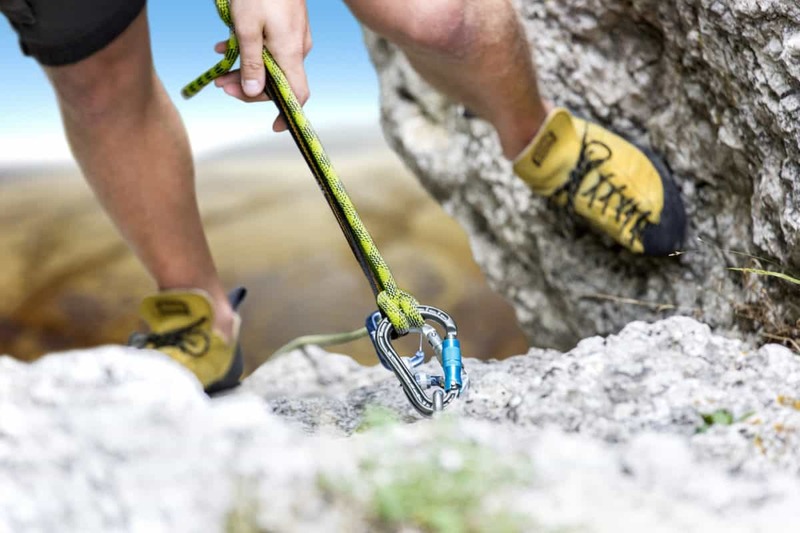 For multi-pitch climbs, or routes where the climber will rappel down, “secure” or “off-belay” are extremely important calls, as they indicate to the belayer that they can remove the rope from the belay device. But the belayer should be absolutely certain that the climber is secure before doing this. Misheard calls can lead to the climber being taken off belay while they are still climbing, essentially turning the climber into a free-soloist, carrying a rope, and facing a potentially fatal accident if they fell. 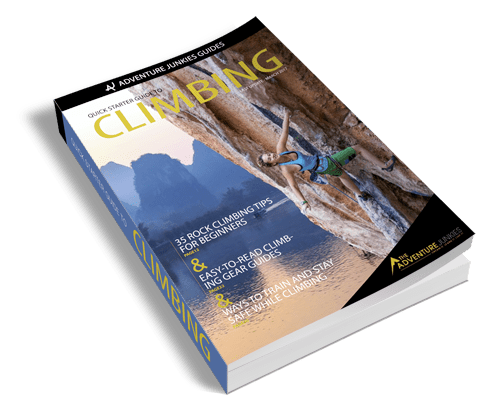 Various calls are used, so make sure both the climber and belayer agree to have consistent calls, and consistent responses. Have a plan for communicating if you can’t hear each other. (Very windy routes, for example, can sometimes make it impossible to hear). Three tugs on the rope is a common way for a climber to tell a belayer that they are securely anchored and can be taken off belay. 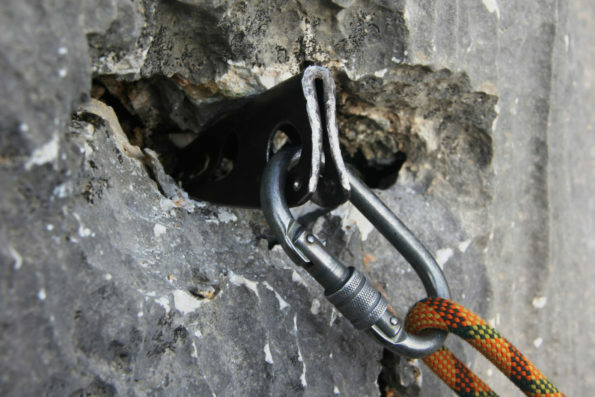 Distracted belaying can be a major cause of accidents. Resist the urge to socialise, converse, text, or tie your shoelaces as you belay. Watch the climber at all times. 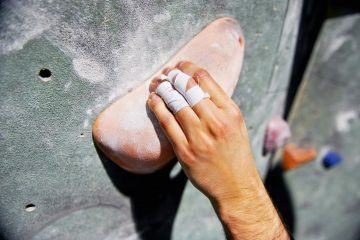 Don’t give too much slack when the climber is above a ledge, or too little slack that could lead to a hard catch, and slam the climber into the rock-face. Make sure you know about z-clipping and back-clipping, or climbing with the rope behind your leg. If the lead climber does any of these things, the belayer should tell them immediately. Ignorance can be a recipe for disaster. Arming yourself with knowledge is one of the best ways to assess and avoid risks, and gaining knowledge through climbing courses, or through solid mentors and real experience, is a great way to learn under safe supervision. Showing up at a crag with gear and no idea what to do is asking for trouble. You can minimise risk by knowing the climb and everything you need for it. If it’s a long multi-pitch route, you may want to take a topo map of the route that you can refer to as you climb higher. The approach and descent information, especially for alpine climbs, should be well-known before setting out. Check the forecast to make sure that the chances of getting caught in a thunderstorm are slim. Risks have been amplified by climbers getting on the wrong route, going off-route while halfway up a climb, having the wrong gear or not enough gear, or not knowing how to get down. Overconfidence is a major cause of accidents. Know your own abilities and don’t overreach. If you want to climb El Cap in Yosemite, it is probably best to try something smaller first to hone your multi-pitch skills and, depending on how you want to climb, your aid and hauling skills. A climber’s partnership with a belayer is sacrosanct. Numerous accidents have occurred from people climbing with strangers. If you don’t know who you’re climbing with, don’t be afraid to ask them to demonstrate to you that they know what they’re doing. Give them a rope and a belay device, and ask them to show you their belaying skills. If you are climbing a big wall, ensure you have enough gear to descend if you need to from anywhere on the climb. Basic first aid kits and headlamps are also essentials for long climbs. Carry a cellphone, or a satellite GPS distress-signal device such as a Spot or InReach, in case of emergency. Also, tell someone where you are going, so they know where you were headed if disaster struck and you didn’t come home when you were supposed to.